In the midst of the world's seamlessly catastrophic political turn of late, you may have missed the growing activity about a national housing strategy. About 30 years ago, the federal government walked away from the business of making sure Canadians were housed, and we are alone among G20 countries in not having a national strategy. 1. You believe in dignity, not just for yourself but for your neighbours as well. More than ever, it's important to speak up about the things that matter most, and be that change you want to see in the world. 2. People across the country are supporting the National Housing Collaborative. The goal is simple: all Canadians have access to housing that meets their needs and that they can afford. You in? 3. 235,000 Canadians will experience homelessness sometime this year. Of those, 64,500 will be women fleeing violence who will end up in shelters. Imagine how hard it is to have to leave your home in order to save your life and have nowhere to go. Homelessness should not be the consequence of a life without violence. 4. 20% of Canada's homeless population is made up of young people. Thousands of them are on the streets every night. Apart from being an epic, long-term planning fail, what does it say about us that we have made so many of our young people disposable? 5. Want a practical way of being part of truth and reconciliation? Indigenous peoples make up 4% of the overall population from coast to coast to coast, but in some cities are as much as 50-90% of homeless people - a homelessness epidemic. In Toronto, Indigenous peoples make up 15% of the city's homeless, but only 0.5% of the total population. How about we reconcile ourselves to changing that. Right away. 6. A national housing benefit is being proposed - it would be an immediate support for renter households in need and at risk. It would help 800,000 households close the "affordability gap" - keeping them in their homes, off the street, and out of shelters. It would mean choice and autonomy - dignity - when people need it most. A critical, enormous step towards poverty reduction. 7. Income inequality. It is harder and harder for an increasing number of Canadians to keep up. Finance Minister Bill Morneau says precarious work, short-term employment, and lots of career changes are here to stay. That just can't be the best we can do. But, in the meantime, let's make a national housing strategy the first line of defense in the face of income inequality. 8. Knowing resources are limited, we should make the best investments possible, yet we spend $7 billion on homelessness in shelters, chronic health disasters, and other related costs. The return on investment is kind of a bottomless pit. A loss of hope, an inability to flourish, bad positioning economically... the list goes on. If you get what you pay for, why are we paying for homelessness instead of investing in housing people? 9. Let's be creative. 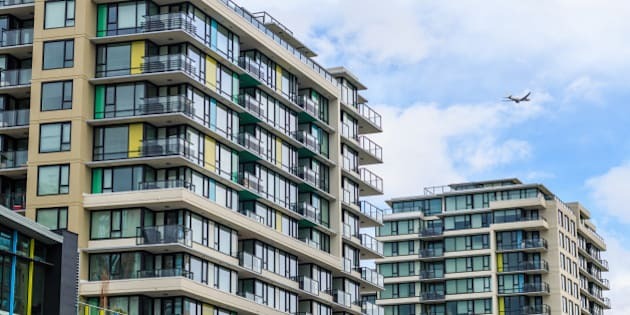 The federal government is being asked to consider how we increase and maintain diverse, affordable rental housing through innovative capital tools. Long-term financing, equity funds for new rental projects -- it's time to leverage government investment and do critical housing work in creative and innovative ways. 10. These are scary times. Engaging is a good antidote. Get in touch with your MP or track them down at a local event and tell them how important a national housing strategy is for everyone in this country. You'll feel as good as all those who have taken to the streets in the last few weeks. You don't even have to wear a pink hat -- though, of course, you can if you want. As long as you speak up, firmly and clearly, and help build a way forward.